We are all familiar with Japanese condiments such as soy sauce or tonkatsu sauce which instantly adds flavor to fish or protein that's been simply cooked with salt and pepper, but if you enjoy onions, try this recipe for Japanese spicy onion sauce, and you won't be disappointed. It's savory, with a soy sauce (shoyu) base, and sweet onions, but its flavor is more complex with the addition of oyster sauce and chili garlic paste. 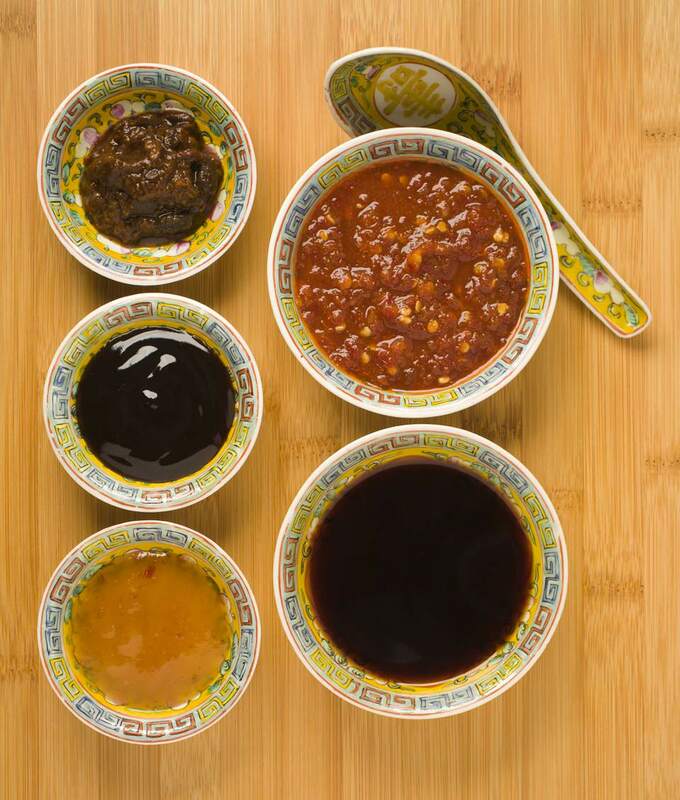 What makes this sauce appealing is that it's quite quick and easy to make, in particular, because it uses oyster sauce and chili garlic paste, both of which are bottled and available for purchase at Japanese or other Asian grocery stores. Both of these sauces are worth adding to your list of essential ingredients to keep in the refrigerator. The soy sauce and sugar are added last so that the soy sauce does not reduce and become salty. Depending on your preference, add more or less sugar to create a savory sweet sauce. Only a small amount of the sauce is needed to season your seafood or protein. The onion sauce may be kept in the refrigerator for up to five days or stored in the freezer in small ice cube portions for future use. In a small saute pan, heat sesame oil over medium-high heat until hot. Add chopped onions and sauté with sesame oil until translucent. Continue to cook the onion another 3 to 4 minutes until soft and tender. Add chili garlic paste, oyster sauce, and sake. Mix until incorporated. Add soy sauce and sugar, to taste. Be sure to stir constantly. The sauce will begin to thicken slightly. Remove from heat and allow the sauce to cool.